Forests are critical habitats for biodiversity and they are also essential for the provision of a wide range of ecosystem services that are important to human well-being. There is increasing evidence that biodiversity contributes to forest ecosystem functioning and the provision of ecosystem services. Here we provide a review of forest ecosystem services including biomass production, habitat provisioning services, pollination, seed dispersal, resistance to wind storms, fire regulation and mitigation, pest regulation of native and invading insects, carbon sequestration, and cultural ecosystem services, in relation to forest type, structure and diversity. We also consider relationships between forest biodiversity and multifunctionality, and trade-offs among ecosystem services. We compare the concepts of ecosystem processes, functions and services to clarify their definitions. Our review of published studies indicates a lack of empirical studies that establish quantitative and causal relationships between forest biodiversity and many important ecosystem services. The literature is highly skewed; studies on provisioning of nutrition and energy, and on cultural services, delivered by mixed-species forests are under-represented. Planted forests offer ample opportunity for optimising their composition and diversity because replanting after harvesting is a recurring process. Planting mixed-species forests should be given more consideration as they are likely to provide a wider range of ecosystem services within the forest and for adjacent land uses. This review also serves as the introduction to this special issue of Biodiversity and Conservation on various aspects of forest biodiversity and ecosystem services. The online version of this article (doi: 10.1007/s10531-017-1453-2) contains supplementary material, which is available to authorized users. Forests and woodlands harbour immense terrestrial and aquatic biodiversity and, especially in moist tropical regions, represent the most species-rich habitat type worldwide (Mace et al. 2005; Lindenmayer 2009; Gibson et al. 2011). Pressures from human activities leading to forest loss, fragmentation and degradation (FAO 2015) have already caused much biodiversity decline and homogenization (Lindenmayer and Franklin 2002; Newbold et al. 2015; van der Plas et al. 2016b). These declines are expected to continue (e.g., Newbold et al. 2015), especially in the rich forests of Central and South America, South and Southeast Asia and Africa, although the rate of forest loss has been slowing in recent years (Keenan et al. 2015). Conversely, the area of planted forests (including plantation forests) is increasing and is currently ca. 7% of total forest cover (Payn et al. 2015). 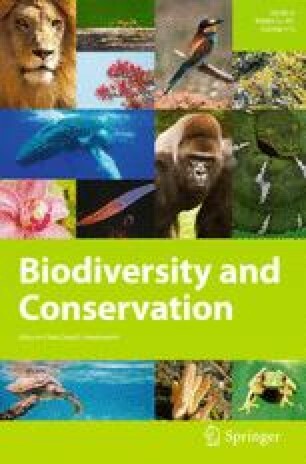 Collectively, these trends in forest cover and condition are a major concern, not only because of the implications for the conservation of biodiversity, but also because forests provide a wide range of critically important ecosystem services such as climate regulation, biomass production, water supply and purification, pollination, and the provision of habitats for forest species (Bauhus et al. 2010; Thompson et al. 2011; Brockerhoff et al. 2013; Decocq et al. 2016; Liang et al. 2016; Mori et al. 2017). There is also increasing evidence that the provision of ecosystem services is related to aspects of biodiversity; there is a positive relationship between biodiversity and most ecosystem services (e.g., Hooper et al. 2005; Balvanera et al. 2006; Isbell et al. 2011; Gamfeldt et al. 2013). A wide range of mechanisms have been proposed to explain the relationships between biodiversity and ecosystem services. Niche complementarity in time and space, and complementarity of functional effect traits and functional response traits are all likely to be involved (Isbell et al. 2011). Facilitation between plant species growing together has often been found to lead to enhanced growth of certain tree mixtures (Thompson et al. 2014). For example, at nitrogen-limited sites, tree species that are nitrogen-fixers may enhance the growth of other tree species in mixed stands (e.g., Binkley 2003; Forrester and Bauhus 2016). Resistance to disturbance is facilitated by forest and tree diversity, leading to a reduction or dilution of resources (e.g., for herbivores), diversion or disruption, and multi-trophic interactions (e.g., enhanced abundance and action of natural enemies) (Jactel et al. 2017). Finally, the so-called ‘sampling effect’ can enhance the provision of ecosystem services, simply because the presence of more species increases the likelihood that an ecosystem will contain a species that grows faster, is more resistant to a particular disturbance, or has some other advantageous trait that leads to enhanced ecosystem functioning or provision of services, compared to communities with fewer species (Wardle 2001; Lefcheck et al. 2015). Given the role of biodiversity in the provision of ecosystem services, the widespread degradation of forests is likely to have far-reaching effects, such as reduced resistance (or increased susceptibility) to natural or anthropogenic disturbance. As such disturbances appear to be increasing in frequency and intensity (e.g., Pachauri et al. 2014; Brockerhoff and Liebhold 2017; Freer-Smith and Webber 2017) declines in biodiversity are likely to reduce forests’ resistance to climate extremes (e.g., Isbell et al. 2015) and to pests, pathogens, invasive species, and other disturbance factors (e.g., Jactel et al. 2017), and to reduce the provision of ecosystem services in general (e.g., Vilà and Hulme 2016). Compared with ‘natural forests’ or mixed-species forests, planted forests usually have a lower level of biodiversity of canopy trees and other species (e.g., Barlow et al. 2007; Brockerhoff et al. 2008), and it is likely that their ability to provide certain ecosystem services is reduced. For example, mixed forests tend to be more effective in delivering a range of provisioning services (e.g., Gamfeldt et al. 2013; Forrester and Bauhus 2016), and are more resistant to various disturbances than single-species planted forests (Jactel et al. 2017). These relationships between forest type, biodiversity and ecosystem services are highly relevant for informing forest policy and management. However, given the multitude of ecosystem services, it is difficult to generalise about the role of forest diversity. Furthermore, there are trade-offs between different ecosystem services depending on the tree mixture and stand type involved. Some tree mixtures are superior at providing certain services but other tree mixtures or even single-species forests are more effective for other services (e.g., van der Plas et al. 2016a). There has been much progress recently in this very active field of research, and the International Union of Forest Research Organisations (IUFRO) established a task force to facilitate multi-disciplinary research collaboration and literature reviews on the effects of forest biodiversity on single and multiple ecosystem services. The current paper provides a general literature review on this topic and serves as an introduction to a special issue consisting of 10 papers on various aspects of forest biodiversity, ecosystem services and related issues. Habitat provision is a central theme for several contributions. A review of analytical methods using readily-available forest inventory data for biodiversity assessments is provided by Corona et al. (2017). The effects of afforestation of open land on bird communities and biodiversity in Ireland and Argentina are examined by Graham et al. (2017) and Phifer et al. (2017), respectively, highlighting the importance of considering the previous land use context. For example, while afforestation of Irish peatlands and grasslands of high conservation value was considered detrimental for bird biodiversity, in the case of intensively managed grassland, afforestation can lead to higher densities of bird species of conservation concern (Graham et al. 2017). Such nuanced observations are particularly important in areas that have experienced severe deforestation (Brockerhoff et al. 2008), such as Ireland where only 1% of the land area remains in natural woodland (O’Callaghan et al. 2017). Under such circumstances, even plantations of exotic trees can provide important habitats for forest species, although attention needs to be given to management options that enhance the value for forest specialists and species of conservation concern (O’Callaghan et al. 2017). The maintenance of ecosystem services provided by aquatic biota in managed forests in north-western North America is examined by Penaluna et al. (2017). They highlight the complex nature of relationships between aquatic biodiversity and numerous ecosystem services and the need for better quantification and understanding of process interactions. Pollination of crop plants and wild plants is an important ecosystem service worldwide. Taki et al. (2017) explore the use of stable isotope analysis to investigate how land use and climate affect wild bee populations. This provides a useful approach for the study of relationships between biodiversity, land use and the provision of pollination services. The effects of invasions of tree pests and pathogens on forest biodiversity and ecosystem services are assessed by Freer-Smith and Webber (2017), highlighting the urgent need to mitigate the risk of future invasions and to increase our ability to manage those that have already occurred. Cultural ecosystem services are highly relevant in indigenous communities. Lyver et al. (2017a, b) use interviews with members of an indigenous tribe in New Zealand that has strong connections with the surrounding forest to assess temporal changes in forest use and perceptions of forest health. Finally, Vangansbeke et al. (2017) examine trade-offs between biodiversity, wood production and recreation in planted pine forests and how forest management planning can be optimised spatially to integrate the delivery of multiple ecosystem services. The objectives of this paper are to: (1) provide an overview of the various ‘ecosystem services’ that are provided by forests; (2) clarify the definitions of ecological processes, ecosystem function, and ecosystem services and goods; and (3) review and synthesise the current state of knowledge regarding forest ecosystem services and the role of forest biodiversity in the provision of these ecosystem services. It is widely recognized that biodiversity is a major driving force in ecosystem function (Hooper et al. 2005; Schulze and Mooney 2012). Hundreds of studies have addressed the effects of tree species diversity on many forest ecosystem functions, including primary production (e.g., Liang et al. 2016). In this very active field of research, the statement that tree diversity can improve “forest ecosystem function and (associated) services” has become very common. However, the concepts of ecosystem function and ecosystem services are often confused, even though they are different in terms of their definition and relevance to scientists and managers. Whereas “function” is an ecosystem-centred concept, “ecosystem service” is human-centred (see Box 1 for definitions and an example). Focusing on function allows scientists to understand how changes in forest biodiversity can modify the key ecological processes that are driving the functioning, integrity or maintenance of forest ecosystems. Given the linkages and relationships between ecosystem functions and services, forest managers or policy makers may use such information to predict how biodiversity management or enhancement can affect the delivery of goods and services beneficial to the economy and to human well-being. Forests generally are well-placed to deliver most of the ecosystem services (ESs) listed in current frameworks such as the Millennium Ecosystem Assessment (Millennium Ecosystem Asessment 2005) or CICES (CICES 2013), because of their wide distribution, rich biodiversity and long history of human use (see Table 1 for an overview of ESs relevant to forest ecosystems). However, empirical studies that establish quantitative and causal relationships between forest biodiversity and ecosystem services are lacking for many important ESs (Mori et al. 2017). For example, focusing only on the effect of tree species diversity, we found that the number of published articles (see Online Resource 1 for details on the methodology) addressing ESs provided by mixed forests was highly skewed towards provisioning services, particularly the provision of wood biomass, and regulating services such as the regulation of pests and diseases (Fig. 1). The provisioning of nutrition and energy services, and the cultural services delivered by mixed-species forests, are largely under-represented in the literature. Productivity is often higher in mixtures than in monocultures, and this effect can increase with tree-species richness (Forrester and Bauhus 2016; Liang et al. 2016). A recent global meta-analysis of mixture-monoculture comparisons found that the productivity of mixtures was, on average, 26.5% greater than the mean of the respective monocultures (i.e., overyielding) and 9.8% greater than the most productive of the respective monocultures (i.e., transgressive overyielding) (this excludes very young mixtures where the effects were smaller) (Gritti et al., cited in Pretzsch and Forrester 2017). However, while productivity has often been found to increase along gradients of increasing tree-species richness, there are also instances where there is no increase, or even a decrease in productivity (Forrester and Bauhus 2016). Even when there is an increase in growth with increasing tree-species richness, it does not mean that the mixtures are always more productive than all the monocultures; it only indicates that the mean productivity of a given diversity level is greater than the mean productivity of a lower diversity level, such as the monocultures. Therefore increasing tree-species richness within a given stand will not necessarily result in greater productivity. This would require that the species interact in complementary ways, and therefore when considering specific stands (as opposed to regional patterns), species identity is likely to be more important to consider than species diversity per se. Positive mixing effects, or complementarity effects, can result from many different processes and species interactions. These have been the subject of several reviews (Kelty 1992; Richards et al. 2010; Forrester and Bauhus 2016) and can be described as nutrient-related, water-related or light-related interactions in addition to biotic interactions (e.g., reduced pest damage) (Forrester and Bauhus 2016). Examples of nutrient-related processes are symbiotic nitrogen fixation and accelerated rates of nutrient cycling, or where the abundance and composition of mycorrhizae change under mixtures leading to greater the uptake of different forms of a given nutrient (Lovelock and Ewel 2005; Richards et al. 2010). Water-related interactions include differences in rainfall interception by the canopy, transpiration, water infiltration or storage in the O horizon and hydraulic redistribution. Light-related interactions include differences in crown architecture and canopy structure that influence light absorption, or differences in physiology or phenology that influence the efficiency of light use and the timing of light absorption. Many of these processes or interactions are related to stand structure or tree architecture, rather than tree species diversity per se. This is the case for most light-related interactions, many water-related interactions and a small proportion of the nutrient-related interactions (Forrester and Bauhus 2016). This suggests that many of these processes and interactions could be important in monocultures that are heterogeneous, especially uneven-aged monocultures. However, just as tree species diversity does not necessarily increase productivity, structural diversity has also been found to have negative effects on productivity, and in some forest types increasing size heterogeneity can reduce productivity by 20% (Binkley et al. 2010; Ryan et al. 2010; Stape et al. 2010; Aspinwall et al. 2011; Luu et al. 2013; Bourdier et al. 2016; Soares et al. 2016). In such stands, the heterogeneous size structure enables larger trees to acquire higher quantities of a given resource than smaller trees, which they also use more efficiently than smaller trees. The smaller trees acquire fewer resources and use them less efficiently, which has a greater negative effect on stand growth than the positive effect experienced by the larger trees (Binkley et al. 2010). Mixing effects for any given species composition will often change along spatial or temporal gradients of resource availability or climatic conditions. In general, complementarity for a given species has been found to increase as the availability of resource “A” declines (or climatic condition A becomes harsher) if the species interactions improve the availability, uptake, or use efficiency of resource A (or interactions improve climatic condition A) (Forrester and Bauhus 2016). If soil nitrogen availability is high then any nitrogen fixed by a nitrogen-fixing species is unlikely to have much of an effect on non-nitrogen-fixing species (Forrester 2014). For example, the growth of Pseudotsuga menziesii was greater when it was mixed with the N-fixing Alnus rubra on a low-N site, but not on a high-N site (Binkley 2003) (Fig. 2a). The complementarity effect was as high as 100% and was related to greater nutrient uptake rather than changes in nutrient availability or nutrient-use efficiency. The rates of N, Mg and K uptake were greater in mixtures than in P. menziesii monocultures at both sites, but the relative increases were much greater at the low N site (Binkley et al. 1992). The same pattern can be expected for water- and light-related interactions along gradients in water status or gradients in light competition, respectively (Forrester 2014). For example, the drought sensitivity (%) of A. alba was reduced when mixed with P. abies but only on dry sites (Fig. 2b; Lebourgeois et al. 2013). It was suggested that this resulted in species interactions that reduced competition for water, which was expected to be more useful on drier sites or during drier periods. In mixtures where complementarity increases as growing conditions improve, interactions that improve light absorption or light-use efficiency may be important. On sites with high nutrient and water availability, stands can develop large leaf areas and competition for light may be intense. Therefore, interactions that improve light absorption or light-use efficiency can be more useful. This was suggested to have caused the increasing complementarity effect for P. abies when it was mixed with A. alba (Fig. 2c). In conclusion, many studies have identified the processes and interactions that cause mixing effects, and much recent attention has been given to the spatial and temporal dynamics of these interactions because such information is required for most practical applications of mixtures. Important next steps are to determine when and where each individual process or interaction is likely to have the greatest effect on growth or other forest functions and whether certain processes or interactions tend to have the largest effects. This could be combined with analyses of forest inventory data to provide regionally validated information across large spatial and temporal gradients (Forrester and Bauhus 2016). Such a process-based approach could benefit from being combined with modelling studies, which can summarize much of this information while simultaneously making it readily available to foresters (Forrester et al. 2017). Globally, forest specialist species are in decline (e.g., Gregory et al. 2007), particularly those associated with primary forests containing old trees and biological legacies. There is an urgent need to identify the impacts of management on habitat provisioning in forest ecosystems and to highlight potential mitigation measures so that the range of ecosystem functions and services directly supported by biodiversity are maintained. Most forest biota respond negatively to forest degradation and to fragmentation from pristine primary forests to small fragmented remnants. Some forest specialists tend to be more sensitive and also respond negatively to habitat conversion from native to exotic plantation forest (Farwig et al. 2008; Irwin et al. 2014; Lindenmayer et al. 2015). However, the relative habitat value of plantation forests depends upon the forest history and context within a region (e.g., Neumann et al. 2017). For example, in countries that are dominated by agricultural landscapes, exotic plantation forests may play a significant role in supporting forest biodiversity by allowing native forest specialists to use an otherwise unsuitable non-wooded landscape matrix (Berndt et al. 2008; Ruffell et al. 2017; O’Callaghan et al. 2017). Nonetheless, increasing fragmentation and loss of primary forest fundamentally alters both the species and functional composition of forested landscapes (Lindenmayer and Franklin 2002; Barnes et al. 2017). In fragmented forest landscapes the levels of isolation and connectivity are important factors determining habitat provisioning at this scale (Fahrig 2003). For instance, species with poor dispersal abilities, such as epiphytic lichens or small arboreal rodents, suffer significant declines in fragmented landscapes (Jönsson et al. 2017 1; Santaniello et al. 2017; Linnell et al. 2017), while the diversity of forest specialist plants in plantation forests is positively influenced by proximity to natural woodland patches providing opportunities for colonisation (Coote et al. 2013). Similarly, the amount of natural forest strongly influences the distribution of birds and bats because it provides a significant part of foraging and roosting requirements at the landscape scale (Burgar et al. 2015; Lindenmayer et al. 2015). Further, features such as hedgerows and shrubland patches form important habitat linkages facilitating movement between patches for forest invertebrates such as spiders (Oxbrough et al. 2007). By contrast, birds and bats that use both forest and non-forest habitats benefit from fragmented mosaic landscapes, and forest patchiness is a key landscape-scale resource for such species (Barbaro et al. 2012; Charbonnier et al. 2016). However, the quality of the landscape matrix itself has an effect on native bird distribution at the landscape scale, by mitigating or accelerating declines in bird species richness with increasing native habitat loss when the matrix is dominated by either wooded or non-wooded exotic habitats (Deconchat et al. 2009; Ruffell et al. 2017). Forest harvesting and the resulting interspersion of complementary habitats in the landscape mosaic is also critical to large herbivorous mammals, providing both cover and foraging areas (Côté et al. 2004; Nikula et al. 2004). However, large-scale habitat provisioning by mature and intact forests is vital for many declining forest specialists as well as for the conservation of functionally diverse forest taxa assemblages (Lindenmayer and Franklin 2002; Irwin et al. 2014). Large-scale forest management can lead to biotic homogenization of forest environments at stand and landscape scales; for example, when multispecies landscapes are replaced by even-aged monocultures, although in boreal forests the opposite effect may also occur. Diversification of tree species or age ranges either between stands in a forested landscape or within stands at a smaller scale generally enhances habitat provision for invertebrates such as arboreal beetles, and for birds and mammals (Nikula et al. 2004; Plath et al. 2012; Styring et al. 2011). Mixtures of conifers and deciduous trees may enhance biodiversity by providing habitats suitable for species associated with different tree species. For example, such mixtures may lead to greater bat species diversity through increased habitat heterogeneity and feeding resources, compared to forest monocultures (Burgar et al. 2015; Charbonnier et al. 2016). Invertebrates (e.g., spiders and beetles) and plants tend to respond more to small-scale structural changes associated with the presence of individual tree species driven by light availability and litter inputs (Chavez and MacDonald 2012; Oxbrough et al. 2016). Diversification of age structures provides habitats for the range of species associated with each stage of the successional forest cycle and is a key driver of biodiversity. However, in tropical forests, gap-phase dynamics tend to be more important than successional cycling. Together with tree composition, stand stratification and age structure are important drivers of bat and bird diversity in forests because they directly affect their foraging (Barbaro et al. 2012; Jung et al. 2012; Phifer et al. 2017) whereas invertebrates, bryophytes and vascular plants respond more to changes in forest structure and light levels (Smith et al. 2008). Late successional stages have significant conservation importance due to their structural diversity and widespread rarity in the landscape (Lindenmayer 2017), whereas in regions that have experienced substantial loss of natural forest cover, older plantation forests can play an important role in supporting a range of native forest species (Berndt et al. 2008; Deconchat et al. 2009; Irwin et al. 2014; Ruffell et al. 2017). Primary forest and older stands provide important biological features such as habitats for flora and fauna associated with large or late successional tree species, a greater diversity of deadwood or more diverse stand structures (e.g., Burgar et al. 2015; Lindenmayer 2017; Linnell et al. 2017). However, forest ecosystems provide habitats for differing suites of species at each stage of the forest cycle. For instance, at the early stages of tree establishment a range of open habitat and generalist invertebrate and plant species coexist (Smith et al. 2008), a role which may be important in landscapes dominated by intensive agriculture with low overall biodiversity (O’Callaghan et al. 2017). Large herbivorous mammals such as moose (Alces alces) select early successional forest stages due to the availability of food resources during winter (Nikula et al. 2004), as do hen harriers (Circus cyaneus), since such habitats provide suitable ground nesting sites and an abundance of small mammalian prey (Wilson et al. 2009). Further, modern silvicultural practices such as tree planting after logging have considerably improved habitat quality for deer. Increased plant diversity provides abundant and high-quality food resources, and this contributes to problems from an overabundance of deer in many regions (Côté et al. 2004). Deadwood is a significant contributor to habitat provision in forest ecosystems and is recognised internationally as an indicator of forest health. Deadwood tends to be more abundant in old growth or less managed stands (except in tropical forests) and provides both habitat and forage for a large suite of the forest biota (Seibold et al. 2015). Many forest bird and mammal species depend on the presence of tree cavities associated with deadwood for nesting and roosting (Cockle et al. 2011; Burgar et al. 2015). Saproxylic fungi, plants and invertebrates respond to changes in deadwood characteristics including volume, size classes, situation and decay stage, which provide variety in habitat structure and available food sources at differing stages of the decomposition process (Seibold et al. 2015). For instance, wood-boring invertebrates may initially colonise early decay stage wood, providing mechanisms for fungi to enter and enhance the decomposition process for later successional species (Ulyshen 2016). Forest ecosystems support a large proportion of species threatened with extinction, and more applied research is urgently needed to evaluate sustainable forest management practices that will contribute to the protection of threatened species. The diversity of forest structure and composition need to be maintained at landscape and regional scales as a spatial insurance to provide habitats for a large suite of specialist forest species. Habitat provisioning by forests for multiple taxa and trophic levels is a key ecosystem service, which in turn positively influences forest ecosystem functioning through a range of mechanisms (Barnes et al. 2017; Lindenmayer 2017). There is also a need for increased public and political support for sustainable forest management to reduce species losses. The impacts of large-scale forest harvesting, thinning and replanting with exotic species on habitat provisioning on well-known groups of mammals, birds and plants are relatively well-investigated using basic community-level metrics (e.g., species richness, abundance, species composition). However, for less charismatic groups such as some invertebrates and fungi, and for more complex community interactions and ecosystem functions, as well as longer-term impacts like climate change, the effects of forest management and mitigation measures remain largely unknown and present a significant future research challenge. This is particularly relevant for the biota associated with forest canopies and the flora and fauna of tropical forests, where the impacts of forest fragmentation and modern forest practices remain largely unknown despite these forests’ high conservation value and their considerable role in the provision of ecosystem services. Animal pollination, which is fundamental to the reproduction and persistence of most flowering plants, is an important ecosystem service (Millennium Ecosystem Assessment 2005). As biodiversity contributes to various ecosystem processes, functions and services, the declining diversity and abundance of pollinators (mainly insects and birds) has raised concerns about the effects on both wild and crop plants (Potts et al. 2010). Experimental evidence indicates that greater pollinator diversity results in improved seed production in plants (Fründ et al. 2013). Furthermore, it has also been shown that pollinator species richness per se is not as important as the diversity and complementarity of functional traits of pollinators, such as different plant species and ambient temperature preferences (Fründ et al. 2013). In agricultural ecosystems, pollination services are provided by numerous species of wild insects and vertebrates, as well as some managed species that also rely on wild ecosystems for nesting and food resources (Garibaldi et al. 2013). Approximately 75% of the world’s leading food crops, such as cacao and oil palm in the tropics and almonds and apples in temperate regions, depend at least in part on animal pollination for yield and/or quality (Klein et al. 2007). The economic contribution to the current global crop production attributed to animal pollination is estimated to have an annual market value ranging between US$235 billion and US$577 billion (Potts et al. 2016). Diversified farming systems such as mosaic agricultural landscapes with forest remnants and agroforestry are more effective than large agricultural monocultures in providing nesting and floral resources for pollinators and in sustaining pollinator populations and communities throughout the year (Fahrig et al. 2015). The conservation of natural ecosystems such as forests, which may provide habitats for pollinators, is crucial, and the distance from these habitats to farms affects the success of seed and fruit set (Kennedy et al. 2013). In terrestrial ecosystems other than agricultural systems, it is estimated that over 85% of wild flowering plants globally are reliant to some degree on animals to transfer pollen (Ollerton et al. 2011). The wide variety of pollinator species contributes to the successful pollination of wild plants, and many flowering plants and their pollinators have close co-evolved relationships (Proctor et al. 1996). Greater diversity of pollinator species and functional groups generally enhances the success of pollination services (Tylianakis et al. 2008). Local pollinator loss can be a serious threat to plants that are dependent on certain pollinators, potentially causing their eventual extinction. Empirical studies in forest landscapes showed negative correlations between pollination success in wild plants and the extent of loss and fragmentation of forest remnants (Aizen and Feinsinger 1994). Although the economic value of pollination of wild plant species has not been quantified, it is certain that it contributes substantially to the provision of food, habitats and other resources for a wide range of organisms. Tree types and human management of forests affect pollinators and pollination services. Planted forests that consist of one tree species, grown as even-aged monocultures and intensively managed, may result in reduced diversity and abundance of pollinators compared with natural forests that have greater structural and plant species diversity (Taki et al. 2011). However, there are cases where active management of planted forests results in positive effects on pollinators. For example, thinning trees may enhance the diversity and abundance of pollinators in planted forests (Taki et al. 2010). Even clear cutting and other disturbances of planted forest that create open environments that are preferred by early successional species that can act as pollinators (Rubene et al. 2015; Taki et al. 2013). Moderate levels of human disturbance of forest ecosystems and anthropogenic land use may result in greater bee abundance and species richness (Winfree et al. 2007). However, some pollinator species such as honeybees and stingless bees use old growth forest for nesting in cavities in large trees (Michener 2007). Maintaining the quantity and quality of natural or semi-natural forest ecosystems across the landscape is important to conserve and restore habitats for pollinators. Retaining habitats within a landscape helps to safeguard an essential level of pollination services for both agricultural and forest ecosystems. Beyond the landscape scale, habitat conservation and restoration at the local scale are also necessary to provide nesting and feeding resources for pollinators (Taki et al. 2017). However, there are still gaps in our knowledge about how landscape and local scale management of forested ecosystems can be integrated for the best outcome for pollinators and pollination services. Seed dispersal by mammals is a major factor in maintaining tree community structure over the long term in tropical forests (Seidler and Plotkin 2006) and is a key mechanism that explains the pattern of low aggregation of conspecifics on tropical forest plots. Evidence also suggests that tropical forests deprived of seed-dispersing animals exhibit replacement of fruiting trees by species with wind seed dispersal (Brodie and Aslan 2012). While the seeds of many tree species are dispersed by wind, others are dispersed by herbivores and frugivores (a process known as zoochory), especially in tropical forests. In Mexico, Cortes-Flores et al. (2013) found that 68% of tree species were dispersed through zoochory. Reduced or absent populations of seed-dispersing animals result in poor to no dispersal, especially of large-seeded trees that depend on large animals such as elephants (Anzures-Dadda et al. 2011; Brodie and Aslan 2012; Beaune et al. 2013). Some animal species play important co-evolved and complementary roles in maintaining plant communities (Gonzalez et al. 2009; Garcia and Martinez 2012; Gonzalez-Varo et al. 2013). The rate of seed germination for some species is enhanced by passage of seeds through mammalian guts (endozoochory) (Traveset 1998; Campos-Arceiz and Blake 2011). Absence of dispersal processes results in a homogenisation of forest plant species and has long-term consequences for forest structure and other ecosystem services (Terborgh et al. 2008; Lehouck et al. 2009; Markl et al. 2012). Proximity of seed sources affects seed dispersal processes to adjacent areas, so habitat connectivity can improve the influx of animal-dispersed seeds (Lehouck et al. 2009; Jesus et al. 2012). Animal species that simply drop seeds have effective distances of generally under 0.5 km (Wehncke and Dominguez 2007) but dispersal distances by seed-eaters are often many kilometres (Beaune et al. 2013). Hence, the loss of seed dispersers and their habitats ultimately produces a decline in local or regional tree species richness (Lehouck et al. 2009; Beaune et al. 2013; Bueno et al. 2013). Wind is a major disturbance agent in all forests (Payn et al. 2015) and a key part of the dynamics of many natural forest ecosystems, particularly temperate forests (Ulanova 2000; Wolf et al. 2004). However, wind damage can have large economic, environmental and social impacts on managed forests and the societies that depend on them (Gardiner et al. 2013). Therefore, mitigating the impact of wind damage in such forests is a way to help maintain the important ecosystem services that managed forests can provide to society. Natural forests are remarkably resilient to major damaging events such as storms and hurricanes (Cooper-Ellis et al. 1999) and it is possible that the mixed structure and mixed species of such forests contribute to both their resistance and resilience. However, very little is known about the processes involved in wind damage and recovery in natural forests and it has proven necessary to investigate the behaviour of managed forests to understand the functioning of natural forests in response to wind damage (Everham III and Brokaw 1996). For example, there is evidence that wind damage to managed forests can be reduced by the use of multiple species and variable forest structures, for a number of reasons. Firstly, there are differences between species in the level of resistance to wind damage (Hanewinkel et al. 2013) and the overall stability of a forest can be enhanced by using more resistant species to provide a framework. Secondly, more stable species can help stop damage propagation during a storm, which occurs when an unstable or weak tree is damaged and creates a gap in the forest, increasing the wind loading on the remaining trees and leading to further damage (Dupont et al. 2015). Thirdly, in systems with a mixture of species, the slower growing species may die and act as a self-thinning system that removes the dangers of normal thinning where the canopy is opened up and increases the wind loading on the remaining trees (Quine and Malcolm 2007). Fourthly, there is evidence that wind loading on broadleaves is reduced in the winter, which is the period with the strongest winds, because they lose their leaves and have reduced overall drag (Bonnesoeur 2016), so an admixture of broadleaves could be beneficial to overall stand stability. Fifthly, when the canopy is multi-storied because of age and species variation, the momentum absorption from the wind appears to take place over a greater depth of the canopy and measurably reduces the wind loading on the tallest trees (Gardiner et al. 2005). Finally, multi-storied forests are less at risk following harvesting of the tallest trees, for example, in a single-tree selection system, or if individual trees start to blow down in a storm, because the under-storey trees are smaller and will experience lower wind loading even when gaps are created. Based on the discussion above it is probable that natural forests are more resistant and more resilient to wind damage because of their mixed structure due to variations in age and species. Therefore, managed forests that more closely mimic natural forests are almost certainly more resilient than even-aged stands, will recover more quickly after a damaging event, and ecosystem services from the forest will be restored more rapidly. In addition, mixed species and age stands will require less technical and financial input to recover after storm damage (Stanturf et al. 2007) because the understorey trees will be able to grow into the space previously occupied by the damaged trees and less intervention will be required. Therefore, by having a mixture of species and tree ages it is possible to have a forest with high biodiversity and compositional structure, as well as one that is more resistant and resilient to wind disturbance. However, it must be remembered that resilience in forests is a dynamic process, and following a large wind disturbance a forest will be different and so will be the level of ecosystem services it can provide. Fire is an essential process in the natural dynamics of some ecosystems, and a potential selection force behind the current distribution of vegetation types worldwide (Bond and Keeley 2005). Although fire can diminish the well-being of people and drastically reduce ecosystem services, fire is a natural process in many ecosystems, and it is not necessarily a negative element per se. The maintenance of a natural fire regime is often required to sustain or even enhance the productivity of ecosystems that have coexisted, or even coevolved, with a specific fire regime (Brockway et al. 2002). Therefore, the impact of fire on a forest and its associated ecosystem services can be either positive or negative, depending on the forest type, the fire regime, and the ecosystem services (Thom and Seidl 2016). However, it is also recognized that global change (climate change, population growth, change in land use practices, or even an increase in fire suppression efforts) has modified fire regimes worldwide, causing an increase in the frequency of large catastrophic fires and an associated decrease in the supply of ecosystem services (Schröter et al. 2005). In addition to the negative influence of large fires on a number of ecosystem services, such fires also have a direct and negative impact on the well-being of humans, due to air pollution, cost of suppression activities, and loss of property and human lives. In this context, fire risk mitigation, aiming to reduce the frequency and impact of catastrophic fires, and fire regulation to maintain a desirable fire regime, can be considered ecosystem services themselves. Fire regulation and mitigation require the maintenance of a certain fuel load and spatial continuity of fuels, using active management to reduce the risk that fire can impose on ecosystem services, while maintaining those ecosystem processes and services that depend on fire (Sturtervant et al. 2009). In this sense, forest biodiversity is often overlooked, unless one considers the clearance of trees and shrubs in the lower forest strata to mitigate fire risk as a strategy that influences biodiversity. Even though the impact of fire on biodiversity, either positive or negative, has been frequently addressed, the impact of species diversity on fire mitigation and regulation is usually neglected. It is assumed that a diverse landscape will help to modify fire behavior, minimize negative impact, and create more resistant and resilient landscapes and ecosystems (Fernandes et al. 2010). However, what applies to large-scale landscapes is not always true at the stand level. When considering the impact of increasing diversity on fire behavior and forest resistance, we have to assume that individual trees’ resistance to or survival capacity in a fire of a given intensity and duration depends on the capacity of each tree to protect sensitive tissues (Dickinson and Johnson 2004). This capacity is defined by each tree’s size and species. Mixing the right set of species in a stand may have a positive impact on tree growth—one of the desirable traits for resisting fires—but may also result in more continuous fuel supplies, leading to more intense fires. The limited number of studies that have analysed the impact of species composition and level of mixture on fire behavior and tree mortality have all identified higher resistance in conifer-broadleaf mixtures compared to pure conifer stands. Forest stands composed of broadleaved trees are usually more resistant to fire, even when pure, mainly due to their lower flammability and their resprouting capacity. Therefore, the impact of increasing species diversity on stand resistance should take into account the capacity of each species to resist fire, and the potential changes in fire behaviour caused by modifications of the forest and the fuel supply structure (González et al. 2006, 2007). Reducing fire intensity and increasing forest resistance are, in most cases, achieved by the same management approaches, which aim to reduce the negative impact of fire on most ecosystem services and minimize the direct impact of fire on human well-being. However, when considering the long-term impact of fire on ecosystem services, the resilience of forest stands cannot be overlooked. Functional traits defining the resistance or resilience of trees to fire are often species-specific (Bond and Midgeley 1995), especially in conifers. Mixing species with different traits may limit the resistance of a forest due to changes in fire regimes, but at the same time allow a faster post-fire recovery of the vegetation cover (Martín-Alcón et al. 2015) and the associated ecosystem services. In conclusion, the use of forest diversity as a means for fire mitigation and/or regulation needs to consider the spatial nature of fire. Generating a diverse and fragmented landscape, consisting of a mosaic of different forest types and land uses, is a clear strategy for minimizing the negative impacts of fire, inside and outside the forest. However, selecting a forest typology for mitigating fire is not a straightforward decision at the stand level. Any decision regarding forest composition and management should consider the fire regime (real or emulated) that is expected or will be regulated. It should also consider the response of the tree species to such fire regimes, according to their functional traits, and in the case of mixtures, the compatibility between species and traits. Finally, trade-offs between responses to fire and impacts on ecosystem services should be evaluated in order to efficiently manage different forest typologies. In general, the impact of mixing species on a stand’s post-fire resistance has been poorly studied, or oversimplified. Past studies are scarce, local, and often based on broad species groupings (such as conifers and broadleaves). Further research is required to identify which species have compatible functional traits for inducing enhanced fire resistance, including an assessment of the combined accumulation and structure of living and dead fuels. Other aspects that call for further research include the impact of mixing species on forest humidity and fuel moisture, and the non-additive effect of mixing different fuels on flammability. Insect damage can have major impacts on forest ecosystem functioning (Boyd et al. 2013). For instance, bark beetle outbreaks causing large-scale mortality have been observed to shift forests from carbon sinks to carbon sources (Kurz et al. 2008). Even minor chronic damage such as background defoliation (Kozlov et al. 2015) may result in significant growth loss in trees (Zvereva et al. 2012). Although it is a common belief among foresters that forest monocultures are more susceptible to pest outbreaks and insect invasions than mixed forests, it has only recently been demonstrated, via meta-analyses, that tree species grown in pure stands are, on average, significantly more affected by insect herbivory than the same species grown in mixed stands (Jactel and Brockerhoff 2007; Castagneyrol et al. 2014a; Guyot et al. 2016; Jactel et al. 2017). This phenomenon has been termed ‘associational resistance’ (Barbosa et al. 2009). However, most stand-scale studies involved native insects, and there is comparatively little information on invasions by non-native insects. Two studies in Europe have shown negative relationships between tree species richness and the abundance of invasive tree-feeding insects at the plot or stand scale (Jactel et al. 2006; Guyot et al. 2015). Conversely, in the USA, a positive relationship between native tree species richness and the number of successful invasions by non-native tree-feeding insects was observed (Liebhold et al. 2013), although that study assessed larger-scale county-level data that are not directly comparable with plot-level data. While forest insect damage has been found to decrease along gradients of tree diversity in temperate forests (Guyot et al. 2016), tree species composition appears to be more important than tree species richness per se in explaining diversity-resistance relationships in forest ecosystems. In particular, the likelihood of associational resistance increases with the functional dissimilarity of associated trees in mixed forests (Castagneyrol et al. 2014a). This would explain why there is weak evidence for better resistance of pure stands composed of several genotypes of the same species compared to single-genotype monocultures (Moreira et al. 2014; Barton et al. 2015). Three main ecological mechanisms are proposed to explain why pest regulation is more effective in mixed forests. The first mechanism relates to the density of host trees, which is proportionally reduced in forests where host and non-host species are ‘associated’ compared to pure forests of host trees. The resource concentration hypothesis (Root 1973) predicts that herbivores are less likely to find, remain and feed on their host trees when they are less numerous and scattered amongst non-host trees in mixed stands (Sholes 2008). This mechanism mainly occurs at the patch (‘stand’) level (Hambäck and Englund 2005), depending on the ability of herbivores to perceive the overall quality of the patch, thus influencing patch immigration and residence rates (Verschut et al. 2016). The second mechanism relates to the ability to locate and exploit individual host trees, depending on the frequency and identity of host and non-host trees. Non-host trees may reduce the visual apparency (Castagneyrol et al. 2014b) and chemical apparency (Jactel et al. 2011) of host trees, making them more difficult for insects to find. Neighbouring trees from other, associated species may also be preferred by insect herbivores, leading to a diversion process that benefits the focal tree species (Jactel et al. 2005). This mechanism thus occurs within a patch (or ‘stand’), depending on insects’ movement between resources, resource perception and dietary preferences (Hambäck and Englund 2005; Verschut et al. 2016). Both mechanisms involve plant–herbivore interactions and are more effective against specialist insect herbivores (monophagous) than generalists (polyphagous) (Castagneyrol et al. 2014a). In some cases, generalist pests may even cause more damage in mixed forests (associational susceptibility, e.g. Schuldt et al. 2010) as a result of spill-over onto less preferred neighbouring species after the depletion of the favoured host tree species (White and Whitham 2000), or because of the potential benefits of dietary mixing (Unsicker et al. 2008). The third mechanism involves plant–herbivore–predator interactions and is related to the ‘enemies hypothesis’ (Root 1973). This states that more diverse forests can provide more diverse and abundant feeding and nesting resources for insect predators and parasitoids, thus increasing their capacity to control populations of prey (i.e., insect herbivores). Although an increasing body of evidence supports a positive correlation between tree diversity and natural enemy diversity (Castagneyrol and Jactel 2012; Staab et al. 2014), the actual contribution of predators to the top-down control of pest insects in mixed forests remains difficult to demonstrate (Jactel et al. 2006; Muiruri et al. 2016). All three mechanisms are likely to affect non-native invading insects, and they would be expected to mitigate invasions of species-rich forests to some extent. Conversely, because most tree-feeding insects are relatively host-specific, an unavoidable consequence of greater tree diversity is that it leads to an increase in the number of host trees that may be colonised by potential invaders (Liebhold et al. 2013). Ultimately, the extent of realised invasions depends on the combined net effect of negative and positive effects of tree species richness. The spatial extent of pest regulation services exhibits a nested pattern. While reduced individual tree damage is probably strongest at the scale of neighbouring trees, for example due to reduced host apparency (Guyot et al. 2015; Damien et al. 2016), improvement of forest health can be achieved at the stand scale (Guyot et al. 2016). Improved effectiveness of biological control by natural enemies may also provide benefits to adjacent land uses such as agricultural crops (Veres et al. 2013). The temporal dimension of forest diversity–pest regulation relationships remains the main knowledge gap. On the one hand mixed-forest dynamics are triggered by differences in tree species-specific growth rates, which may lead to changes in host apparency (e.g., Damien et al. 2016) and perhaps host palatability. These factors may change the magnitude and direction of effects on pest insects in the forestry cycle. On the other hand, insect populations have their own dynamics, sometimes with eruptive or cyclic outbreaks, but little is known about whether diversity effects could vary depending on herbivore and predator abundance (Fernandez-Conradi et al. 2017). As a consequence, there is a need for long-term studies testing the influence of tree diversity on the population dynamics of forest insects and estimating the resilience of mixed forests to pest outbreaks. The pest regulation service provided by forest biodiversity is thus intimately linked with two main ecosystem functions: primary production (which controls for tree apparency and trade-offs with plant defences) and biotic interactions (e.g., predator–prey interactions). Increasing tree species diversity is likely to result in more complex forest structure and composition, thus providing more habitat for predators and parasitoids that may regulate pest populations through top-down biotic interactions. Bottom-up biotic interactions are also influenced by tree species diversity via both the relative abundance of host vs. non-host tree species for insect herbivores and the diversity of their traits, such as growth pattern and secondary metabolism, which ultimately influence the probability of host trees being found, colonized and damaged (Table 1). Pest regulation may have benefits for several forest goods and products. Pest damage reduction ultimately results in more wood biomass of better quality and also helps maintain forest cover, thus regulating air and water quantity and quality, preventing soil erosion, and improving the beauty of forest areas used for recreational activities. Carbon in forests is sequestered through photosynthesis, and so is directly related to the species level of biodiversity, as follows. Carbon is stored in five distinct pools in forests: above-ground and below-ground live biomass, in deadwood including snags, litter, and soil. Carbon in forests is a function of forest productivity (see above), but the question of the relationship of biodiversity to carbon storage differs somewhat from sequestration. In part this difference occurs because different tree (and plant) species have different wood densities, different rates of photosynthesis and respiration, and because decomposition occurs at different rates, depending on multiple factors. Therefore, in most studies, the functional characteristics and richness of plant communities are major drivers of carbon accumulation in all pools (Kirby and Potvin 2007; Conti and Diaz 2013; Harmon et al. 2013; Lange et al. 2015), although Finegan et al. (2015) found no relationship between species richness and biomass. For soils, Lange et al. (2015) found that elevated carbon storage at sites with high plant diversity is directly related to the soil microbial functional community (i.e., soil biodiversity), which in turn is related to plant species richness, suggesting that soil carbon storage is mainly limited by the integration of new carbon into soil and less by the decomposition of existing soil carbon. In many studies in tropical forests, planted forests and second growth forests—which often lack species with high wood density, and generally have lower taxonomic diversity than primary forests—there is typically lower biomass stored in live and dead biomass pools (Cavanaugh et al. 2014; Gonzalez et al. 2014; Osuri et al. 2014; Shirima et al. 2015). Single species plantations result in reduced litter, or recalcitrant litter, followed by depletion of soil biodiversity and as a consequence less stored soil carbon (de Vries et al. 2013; Zhao et al. 2013; Aslam et al. 2015). Cultural ecosystem services (CESs) are defined as ecosystems’ contributions to the non-material benefits that arise from complex and dynamic relationships between ecosystems and humans (Chan et al. 2012; Fagerholm et al. 2012). These services are often intangible, making them difficult to measure (Daniel et al. 2012). Commonly recognized CES categories include: cultural diversity and identity, spiritual and religious values; knowledge systems, including education; inspiration; aesthetic values; cultural heritage values; and recreation and ecotourism (Costanza et al. 1997; Millennium Ecosystem Asessment 2005). The emphasis on CES benefits is heavily influenced by a country’s cultural, social, economic and political organisation. Populations in societies with access to surplus wealth and leisure time frequently emphasize the importance of aesthetic values, recreation and tourism (Millennium Ecosystem Asessment 2005). In contrast, indigenous peoples often express the importance of CES benefits relating to cultural identity and heritage, kinship, and knowledge integrity and transfer (Pert et al. 2015; Boafo et al. 2016; Sangha and Russell-Smith 2017). The global significance of forests to humans means CESs are deeply ingrained in the value-belief systems of many societies. Indigenous forest peoples in particular have a complex matrix of values that shape and guide their attitudes, beliefs and relationships with the forests in which they live (Rickenbach et al. 2017). Since the majority of forests worldwide are populated and used by humans (Forest Peoples Programme 2017), the biodiversity contained within these ecosystems contributes extensively to the provision of CES benefits. For example, indigenous peoples commonly link forest landscapes and biodiversity to tribal identities, association with place, kinship ties, customs and protocols, stories, and songs (Gould et al. 2014; Lyver et al. 2017a, b). Spatial patterns of CES identified by rainforest Aboriginal peoples in Australia were related primarily to variations in social structures (e.g., adherence to cultural protocols), rather than to ecological attributes such as forest biodiversity patterns (Pert et al. 2015). In developed nations the aesthetic value of forest landscapes has featured strongly in CES assessments of forests. For example, peoples’ judgements of scenic beauty in forests of the north-western USA were greater in areas where more green trees were retained by logging companies, provided the retained trees were evenly dispersed across the landscape rather than clumped in small groups (Ribe 2005). Similarly, the Black Wood of Rannoch is one the largest remnants of ancient Caledonian pine forest in Scotland and contributes significant CES values, such as aesthetic and spiritual benefits (Edwards et al. 2016). In East Germany, forests are considered a ‘hot-spot’ for CES in regard to education (learning about biodiversity), spirituality and recreation (e.g., hiking—Plieninger et al. 2013). However, biodiversity in these forests also contributes a cultural ecosystem ‘disservice’ as local people have a fear of roaming wolves (Plieninger et al. 2013). Recreation and tourism are by far the most commonly mapped CESs in forest-related assessments, largely because of the ease with which economic-based values can be measured, although estimates can vary widely. An assessment of recreational services provided by forests in North Zealand, Denmark, varied from 5200 to 14,850 EUR/ha/year for forests with the highest per hectare value, and from 200 to 320 EUR/ha/year for forests with the lowest per hectare value (Zandersen and Termansen 2012). In northern Italy, tourism contributed almost 10% of the total economic value of ecosystem services for the forests of the Fiemma and Fassa Valleys (Häyhä et al. 2015). While recreation and tourism values are critical for many local economies, rising human populations in some countries are increasingly placing pressure on forest resources and the quality of other non-monetary cultural services (Wear and Greis 2002). While CESs are a vital part of the ecosystem services complex, they are, on the whole, under-researched. Intangible and non-negotiable CES benefits continue to challenge valuation methods and processes. New valuation tools and frameworks that can reliably account for non-material CES benefits need to be developed and tested. Linking environmental conditions with human wellbeing was a common concept that emerged from the MEA process (Millennium Ecosystem Assessment 2005). Research that explores shared CES concepts between user groups and maps the diversity of CES benefits is therefore needed to assist in conflict resolution (e.g., between tourists and indigenous peoples), especially as activities like recreation and tourism expand globally (e.g., Fagerholm et al. 2012). New frameworks that can consider the full range of CES benefits associated with forest biodiversity will result in solutions and trade-offs for real-world issues to accommodate different sectors of societies. These frameworks can “foster new conceptual links between alternative logics” (i.e., alternative belief systems) “relating to a variety of social and ecological issues” (Milcu et al. 2013). Research that supports the mapping of indigenous peoples’ CES to themes relevant to them will help prevent their values being overlooked or becoming institutionalized in current frameworks. Forests are valued for multiple ecosystem services, including timber production, climate regulation and recreation, and for biodiversity in its own right (Mace et al. 2012). A major challenge for forest managers is to maximise as many of these services as possible, thereby maximising ‘ecosystem multifunctionality’ (Hector and Bagchi 2007). When different ecosystem services and biodiversity are all positively related to each other, meeting this goal is, at least in theory, relatively straightforward. However, in recent years, a number of studies have investigated relationships between forest ecosystem services and found that while some ecosystem services correlate positively, others show strong negative relationships at local scales (Chhatre and Agrawal 2009; Gamfeldt et al. 2013; Van der Plas et al. 2016a; Lutz et al. 2016) or large spatial scales (van der Plas et al. 2017). Because of these trade-offs, maximising all desired forest ecosystem services is challenging. Some trade-offs between ecosystem services occur because different tree species provide different ecosystem functions and services (Gamfeldt et al. 2013; van der Plas et al. 2016a), while others are driven by forest management, which often maximises certain ecosystem services at the cost of others (Chhatre and Agrawal 2009; Verkerk et al. 2014). Hence, at local scales, promoting certain tree communities may maximise some, but not all, ecosystem services of interest. As a result, forest ecosystem multifunctionality generally increases with both tree (Gamfeldt et al. 2013; van der Plas et al. 2016a; Ratcliffe et al. 2017) and fungal (Mori et al. 2016) species diversity, although it is almost impossible to maximise all desired ecosystem services and functions underpinning them at local scales (Ratcliffe et al. 2017). Therefore, recent studies have investigated whether larger-scale biodiversity, caused by a high spatial turnover in species composition (i.e. high beta-diversity) can promote ecosystem multifunctionality at the landscape scale. This has turned out to be the case, as a high beta-diversity ensures that different localities complement each other in the ecosystem functions and services they provide (Mori et al. 2016; van der Plas et al. 2016b). Because of the large amount of data that is required for research on biodiversity and ecosystem multifunctionality, this field has only taken off relatively recently. Hence, despite many recent advances, there are still many unresolved questions regarding how biodiversity and ecosystem multifunctionality can be simultaneously maximised in natural forests. For example, it is unknown whether the positive effects of local-scale tree species richness on ecosystem multifunctionality are even stronger when co-occurring species differ significantly in their traits or evolutionary origins, although such information can be crucial for planting multifunctional forests. In addition, it is known that forests can provide multiple ecosystem services to neighbouring landscape units, such as agricultural fields (Mitchell et al. 2014). However, whether the benefits of diverse forests for neighbouring fields are greater than those of species-poor forests is still an open question. With the increasing interest in understanding what drives multifunctional landscapes, it is likely that these and other related questions will be investigated in the future. Our review confirms that forest type and tree species richness affect forest biodiversity and that forest diversity can be an important factor in ecosystem function and the provision of ecosystem services. However, while there are clear mechanisms by which tree diversity can improve ecosystem function and the delivery of ecosystem services, for many ecosystem services, there is still uncertainty about the extent of a ‘functional relationship’ between biodiversity and the provision of those services. We also need to better evaluate the effect of different levels of tree diversity; not only species but also genetic and functional diversity. And while canopy trees are obviously a dominant feature of forests, the diversity of understorey plants, vertebrates, invertebrates, fungi and microbes is also likely to be important for ecosystem services. Furthermore, many ecosystem services remain comparatively poorly studied in forests in relation to biodiversity; this applies particularly to cultural services but also to some provisioning services (see Table 1 and Fig. 1). There is clearly a need for more research in this area to enable evidence-based advice for forest management and policy to enhance the provision of ecosystem services (see also Mori et al. 2017). For natural forests this discussion may seem somewhat academic, as it is unlikely that tree species composition and diversity would be altered substantially in the interest of ecosystem services. Nevertheless, it is important to raise awareness about the role of natural forests and forest diversity in the provision of ecosystem services to highlight their value beyond the provision of timber and recreation. However, for planted forests there is ample opportunity for optimising their composition and diversity because replanting after harvesting is a recurring process. If it can be shown that there are opportunities for adding value and for increasing the resistance or resilience of planted forests, these should be good incentives for forest owners and managers to consider alternatives to the monoculture paradigm of most planted forests. We thus endorse the plea of Paquette and Messier (2010) “for the implementation of well-conceived, diverse, multi-purpose [forest] plantations as a way to conserve forest biodiversity and ecosystem functions”. The relevance of forest ecosystem services does not stop at the forest edge. There is much scope for synergies between forests and farming land uses; for example, even small patches of forest can benefit crop production by enhancing pollinator and natural enemy populations, although they may also provide disservices (Decocq et al. 2016). Adding planted forests to catchments dominated by dairy farming reduces greenhouse gas emissions and improves water quality (Monge et al. 2016). These are also important considerations in the debate about land sharing vs. land sparing. Clearly, any afforestation plans should carefully consider previous land use in terms of the likely biodiversity and conservation outcomes (e.g., afforestation of degraded farmland vs. natural grassland or forest). Finally, any planted forest plan should evaluate options for mixed-species forests (Pretzsch et al. 2017) as these are likely to provide a wider range of ecosystem services. This paper, published in vol. 26(11) of this journal, is a part of this Special Issue. We are indebted to numerous colleagues for invaluable discussions about forest biodiversity and ecosystem services. We thank the International Union of Forest Research Organisations (IUFRO) for facilitating the IUFRO Task Force ‘Contribution of Biodiversity to Ecosystem Services in Managed Forests’. Many thanks also to Judy McDonald for edits and comments on the manuscript. EGB acknowledges support from the New Zealand Ministry of Business, Innovation and Employment (MBIE) via core funding to Scion (C04X1104) and contestable funding (C09X1307) to the ‘BEST’ programme. Contributions by JRG were funded by the Ministerio de Economía, Industria y Competitividad (RYC-2011-08983) and the CERCA Programme/Generalitat de Catalunya. HT was supported by the Ministry of Agriculture, Forestry and Fisheries, Japan, and the Ministry of the Environment, Japan (Environment Research and Technology Development Fund S-15-2).